Sterling Silver .925 Toggle Clasps, size when expanded: 32x29x2mm, weight: 2.44 grams. Leather Cords 2.0mm (two mm) round, regular color - light violet. Leather Cords 6.0mm flat, metallic color - bronze. 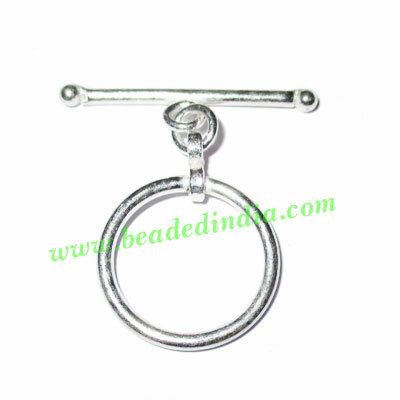 Silver Plated Fancy Beads, size: 14x12x3mm, weight: 1.06 grams. Leather Cords 1.5mm flat, metallic color - steel grey.